Drawing on unparalleled access to Osama bin Laden and his key associates, journalist Abdel Bari Atwan gives an incisive and timely account, the clearest we have so far, of the rise of the notorious terrorist organization, al Qaeda. In this lively narrative, the author establishes what al Qaeda is or has become, what it wants, what its capabilities are, and how the West can answer its complaints and challenges. 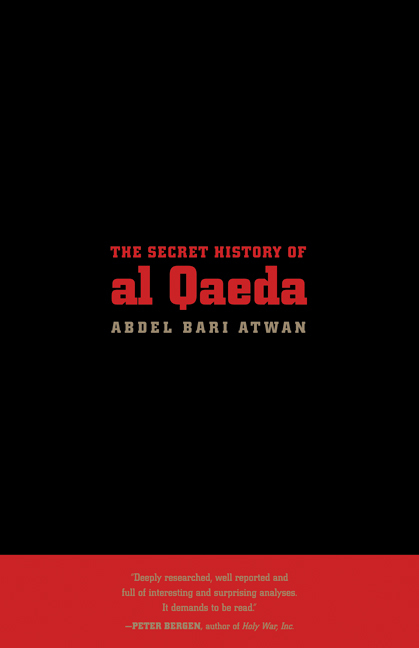 The only Western-based journalist to have spent time with Osama bin Laden, Atwan begins with an engrossing personal record of his 1996 trip to visit al Qaeda's founder and guide at his Tora Bora hideout. He takes an in-depth look at bin-Laden, presenting a nuanced portrait of the man and a description of his development as the prime exponent of jihad today. Atwan reveals how al Qaeda's radical departure from the classical terrorist/guerilla blueprint has enabled less adaptable efforts to neutralize it. The fanaticism of its fighters, and their willingness to kill and be killed, are matched by the leadership's opportunistic recruitment strategies and sophisticated understanding of psychology, media and new technology—including the use of the Internet for training, support and communications. Atwan's outspoken London-based newspaper al-Quds al-Arabi, of which he is Editor-in-Chief, has been the vehicle of choice for the release of many al Qaeda electronic communiqués. The Secret History of al Qaeda reveals events in Iraq and Saudi Arabia as watershed moments in the organization's evolution that are making it more dangerous by the day. Atwan efficiently charts how the concept of jihad is being refined and appropriated, how a new kind of leader has been made possible by al Qaeda's horizontal chain of command, the making of the suicide bomber as a permanent feature of a global holy war, al Qaeda's economic strategy, and how the war in Iraq has transformed that country into a breeding ground for the most ruthless and militant al Qaeda fighters to date. Abdel Bari Atwan, a Palestinian, has lived in London for thirty years and is Editor in Chief of Al-Quds al-Arabi.